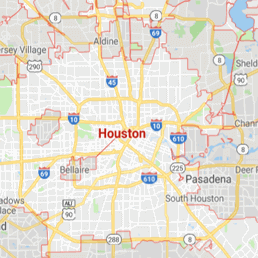 When homeowners are in need of fast help, you can rest assured that the water damage Katy units at 911 Restoration of Houston will be at your home right away to start repairing any flood or leak damage that may be overwhelming your property. 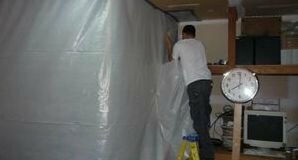 Rapid mitigation is required to prevent further destruction and mold. The water damage Katy team will respond within 45 minutes of your emergency call and is sure to be available 24/7/365, since you can never predict when water will strike. Due to the hot summers and overall humid environment, this Texas community is susceptible to flooding, mold growth and water damage. Storms, floods and leaky pipes let outside water into the home, making it necessary for water damage remediation services. Our IICRC certified water damage Katy specialists have many years of experience with extracting water, so call us today to eliminate all of your water damage woes today. The licensed, bonded and insured water damage Katy agents will try to salvage as much from your home as possible after a flood, thanks to our use of the latest drying and water extraction technology. Many water damage situations can be prevented by simply doing routine maintenance like cleaning gutters and downspouts. Check your sump pumps to make sure they are in perfect working order every year. 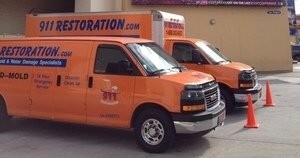 Let a restoration expert come and inspect your property for any trouble areas to avoid water damage. Roofing shingles that are missing are a prime source of water damage issues. To help save your original carpeting and valuable possessions, you can shut off the main water line while waiting for our water damage team to arrive. Once our water damage Katy professionals get on the scene, we set up the water extraction equipment and perform a free home estimate. Our affordable prices and willingness to work with all major insurance companies makes us trustworthy and reliable. Anything we can do to prove ourselves to the customer, our water damage Katy team will do it, so call us today! Preventing flooding can be difficult, but there are a few key steps our water damage Katy unit thinks all homeowners should implement into their home maintenance to keep it safe and water damage-free. This includes clearing your gutters and downspouts, installing a sewage back-flow valve and knowing the signs of mold. With the winds common to the area, leaves and debris firmly implant themselves in your gutters year round. If you do not clear your downspouts water will clog and overflow onto the roof, causing further water damage down the line, such as roof leaks and structural harm. If you ever experience mold call our water damage Katy crew right away, because it spreads easily and may deteriorate your health over time. Most mold that grows inside the home leaves black spots on your walls, but it may stay in your attic or crawl space, leaving its spores all over the home. Do not let water damage cause mold in your home. Call the water damage Katy pros with 911 Restoration Houston and we will give your family a fresh start in a beautifully restored home today!